Episodes tagged with: "Missy Elliot"
20. Eve - Who's That Girl? 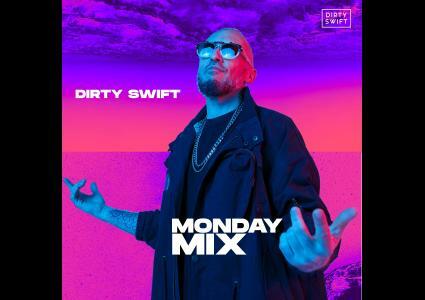 Born and raised in Hip-Hop culture, Dirty Swift has become one of the most emblematic DJs in the Parisian nightlife scene, exporting his incredible talent on the tables across the most “Hype” dancefloors around France and the rest of the world, for over 12 years. Dirty Swift’s sets are legendary and are credited as being able to smoothly and originally navigate audiences from Hip-Hop to Soul to the vast arrays of Funk and Dancehall. He’s also been able to effortlessly transition to other types of trendsetting music, which he loves, such as Trap, Bass, Future House, and Afro-Beat. It is no surprise then that such reputable French radio institutions such as Mouv’ and Skyrock have solicited Dirty Swift’ expertise and his immense talent for their iconic Friday programming. Dirty Swift is now putting a lot of efforts into musical production, a logical evolution to his evolving career, but also artistically directing major parties (Hip Hop Loves Soul) and organizing his own (Monkey Party…).